Coniglio in fricassea. 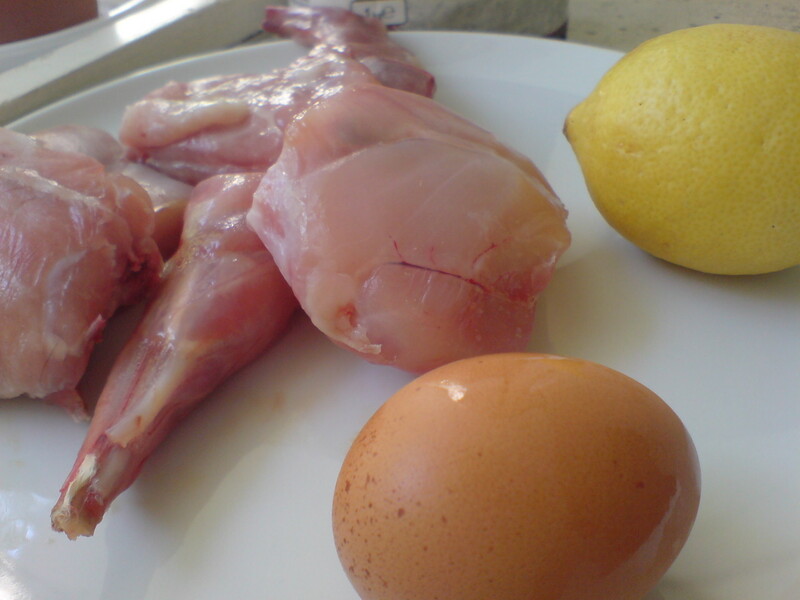 There are many recipes for rabbit in fricassea but this is the simplest and most straight forward I could find. 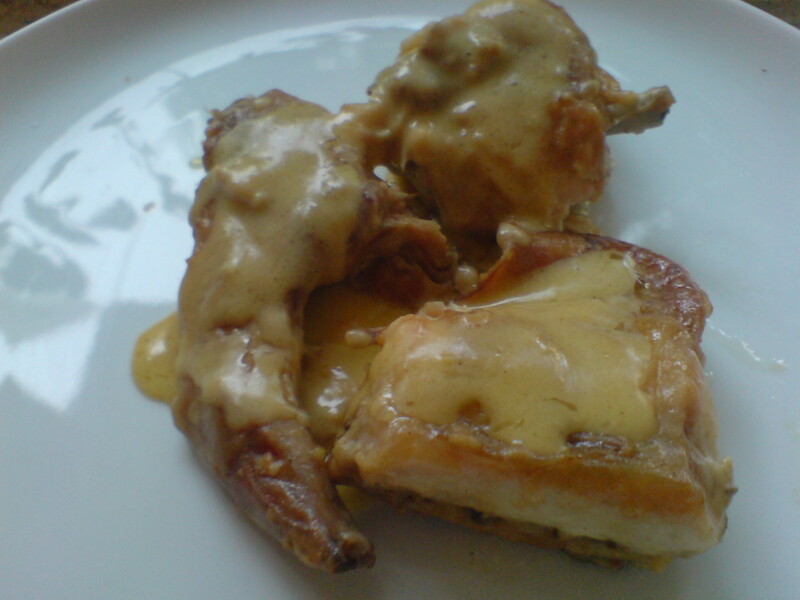 It’s basically rabbit served with a sauce made from egg yolks and lemon juice. Serves 4. Lightly dust the rabbit with flour. Fry the pieces in a little olive oil to which you’ve added the knob of butter. When the rabbit is nicely coloured, season with salt, add a ladle of water and cook over a low heat for around an hour and a half. If it looks like drying out, add a little more water. When the rabbit is done remove to a serving plate and keep warm. Beat the egg yolks together with the lemon juice and add the mixture to the cooking liquid left in the pan. Stir rapidly until you have a smooth sauce. Top the pieces of rabbit with the sauce and serve.